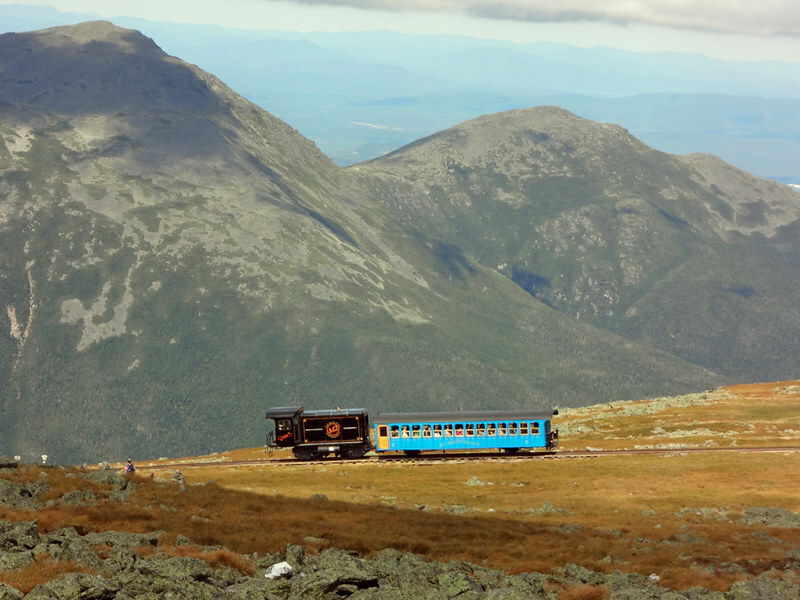 For many, the Presidential Range is the Appalachian Trail section most synonymous with New Hampshire. 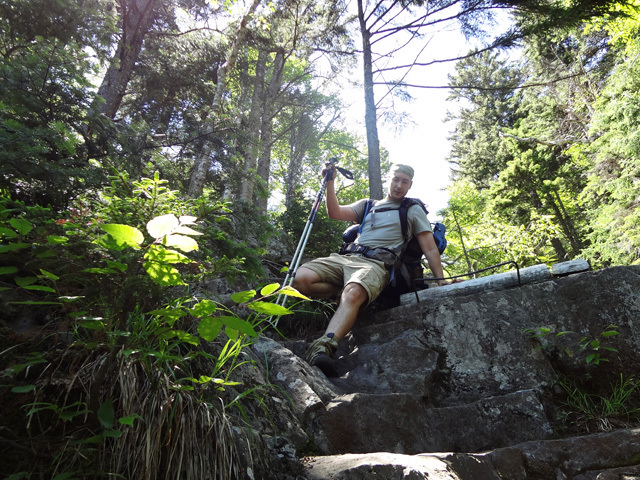 Take it from someone who’s not smarter than he looks, the Franconia Ridge Trail hike from Mt. Liberty to Mt. Lafayette is far from losing that trail-loving feeling. With two mountains over 5,000 feet, the option to summit 4,459-foot Mt. Liberty, and 4,500-foot Mt. Garfield likely also on the docket, this stretch will have hikers crashing and burning by day’s end. Northbound AT hikers making the trek from Kinsman Notch to Franconia Notch enter this alpine playground by passing under U.S. 3/I-93 alongside the Pemigewasset River (a good spot to go for a dip), crossing the river via a bridge on the paved Franconia Notch Bike Path, and joining the Liberty Spring Trail. 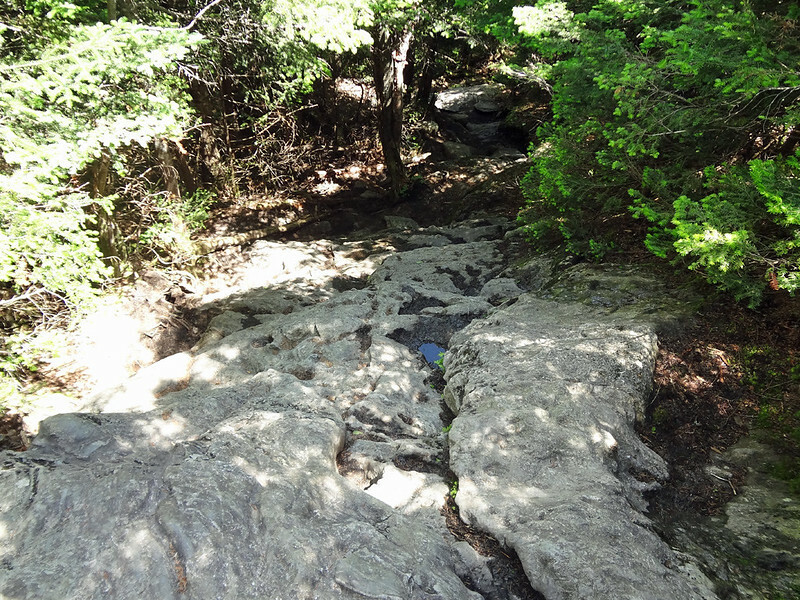 About a mile of the two-mile hike to Liberty Spring Campsite is a steep stair-master climb. The spring at the campsite is one of the better water sources along the trail, and it’s also the last place to fill up for the next 6.8 miles. According to the Appalachian Trail Guide there are seven single and three double tent platforms here, but it’s also a high-traffic area that can fill up quickly so plan accordingly. 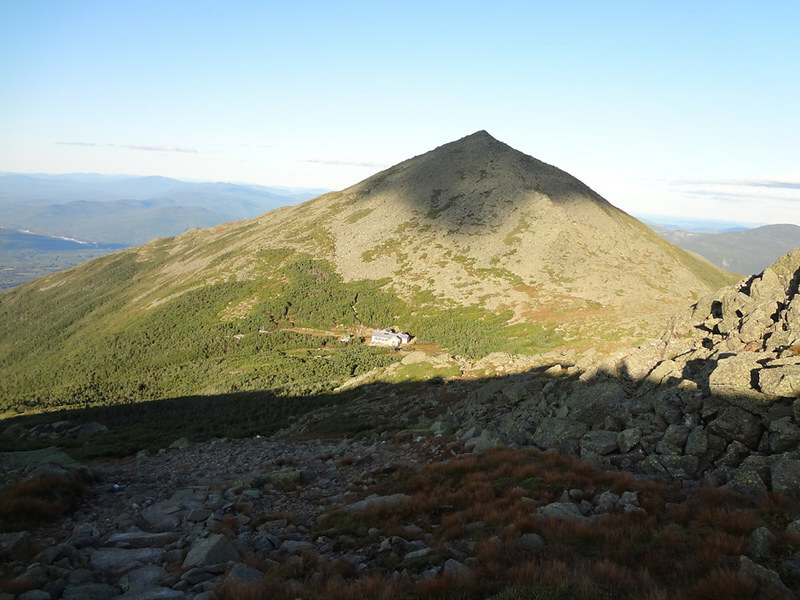 Once onto the Franconia Ridge Trail, the vast majority of this hike is above treeline until well past Mt. Lafayette. While this stretch is spectacular on a good day, there’s no place to hide from inclement weather until the Greenleaf Hut, so northbound hikers should strongly consider staying at Liberty Spring in such scenarios. Especially if there’s a threat of lightning, as the consequences could be much worse than flying a cargo plane full of rubber dog dung out of Hong Kong. 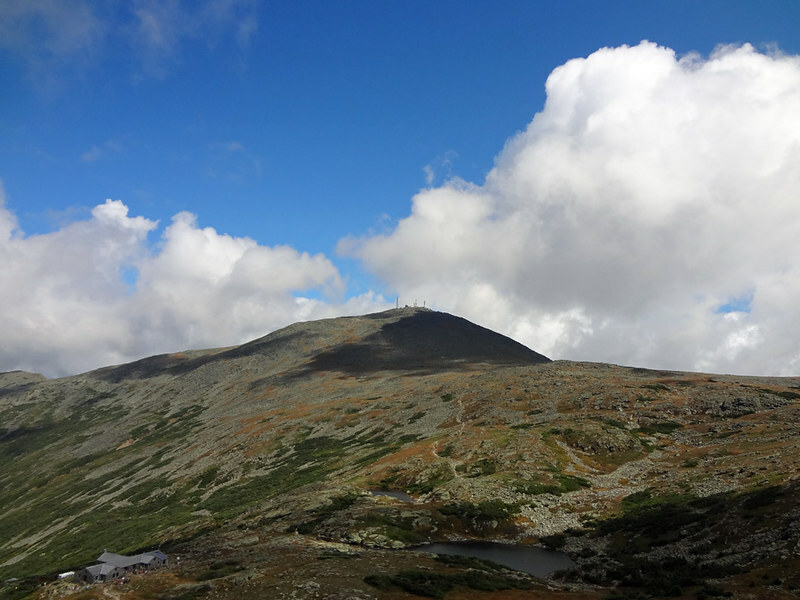 From the Liberty Spring Campsite it’s a .o3-mile climb up rock staircases to the intersection with the Franconia Ridge Trail. While the AT turns left here, it’s worth taking a right and slack-packing another .03 miles to the summit of Mt. Liberty. Below is a shot of the view overlooking Franconia Notch and Cannon Mountain. The first 1.8 miles of the Franconia Ridge Trail to Little Haystack (elevation 4,761 feet) is a little misleading as it’s mostly below treeline. Even so, there’s something inherently cathartic about this stretch of forest. Get your camera out on the summit of Little Haystack as you’re officially entering tourist country. And for good reason. Below is a shot of the .07-mile approach of 5,089-foot Mt. Lincoln. While the movie inspiration here is Top Gun, crossing Franconia Ridge always makes me feel like a hobbit. Just with less hair on my toes. And head. The next shot is looking back from Mt. Lincoln at the Appalachian Trail snaking across Franconia Ridge. The two triangular peaks in the distance are Mt. Liberty and Mt. Flume. The trail is narrow through here and care should be taken to stay on the designated path, which can be easier said than done. Little Haystack marks the intersection with the Falling Waters Trail, which, along with the Old Bridle Path on Mt. 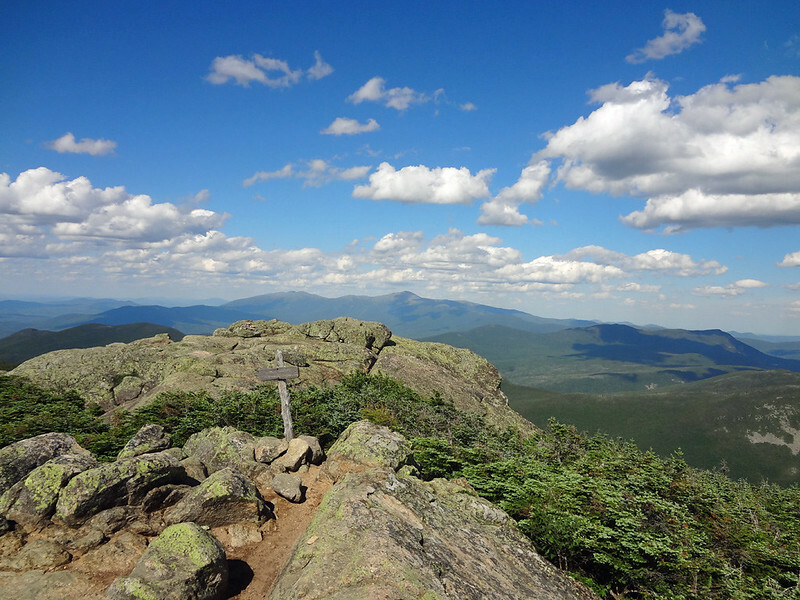 Lafayette, forms a loop that’s one of the most popular hikes in New Hampshire. 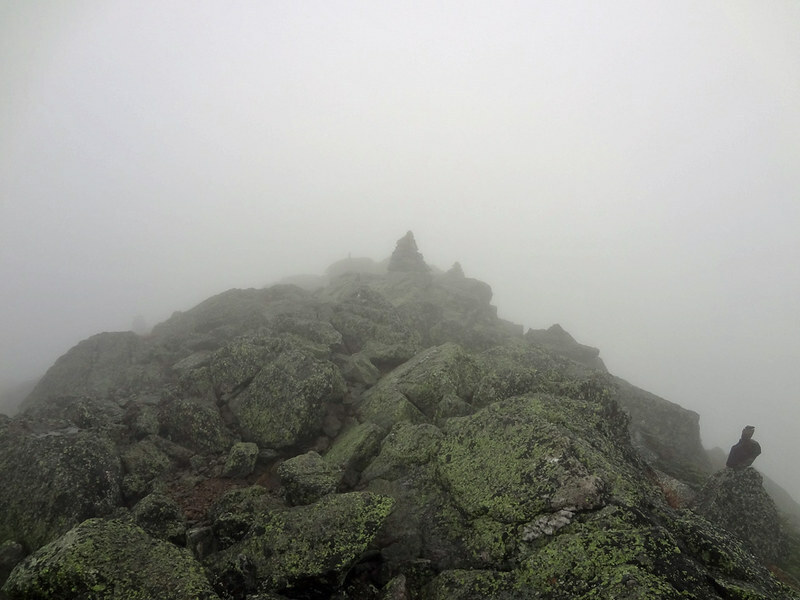 If possible, AT thru hikers may want to cross Franconia Ridge in the morning to avoid the crowds. From Mt. Lincoln it is .09 miles to the summit of 5,260-foot Mt. Lafayette, for which the ascent is steeper and more grueling than it looks. When you can see the summit, that is. On the summit of Lafayette are the foundational remains of an old “hotel” that can offer a marginal reprieve from wind. Anyone needing to escape harsh conditions here should consider descending the Greenleaf Trail 1.1 miles to the AMC’s Greenleaf Hut. Nobos will continue north here along the Garfield Ridge Trail (shown below). 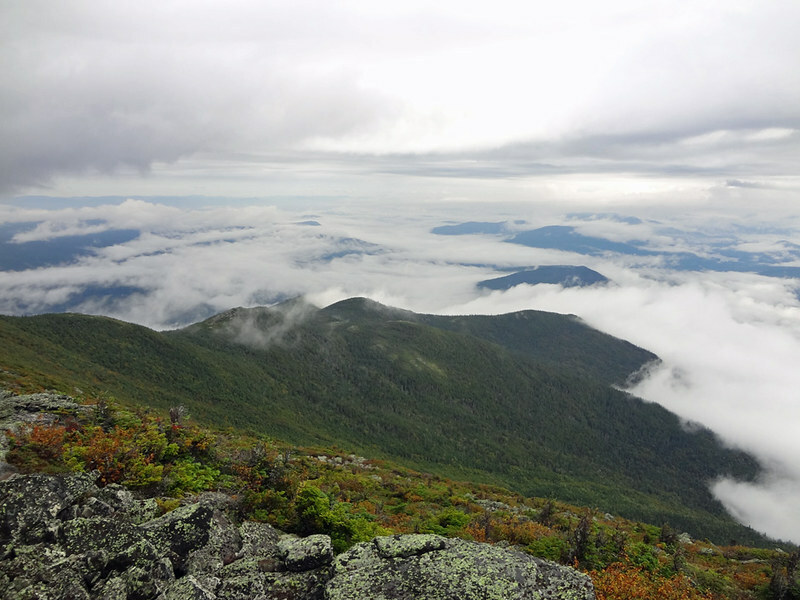 Below is the view across the Pemigewasset Wilderness from Mt. Lafayette to Bondcliff, a popular ridge hike in its own right. Alas, the Appalachian Trail can’t traverse them all. After descending for a bit the trail makes a moderate climb to the Mt. Lafayette North Peak at 4,680 feet. From here the trail soon descends below treeline. And is approximately a two-mile hike to Garfield Pond. On the off-chance you’ve got enough water to ascend Mt. Garfield, it’s best to wait on refilling until the spring at the Garfield Ridge Campsite. Chances are, though, you’ll be having a drink here. Mmm, pond water. From the pond it’s a steep half-mile climb to the 4,500-foot summit of Mt. Garfield. It was getting late in the day on my hike and I was treated to a sunset over Franconia Ridge. The summit of Mt. Garfield is a unique one with the remaining foundation of an old fire tower. 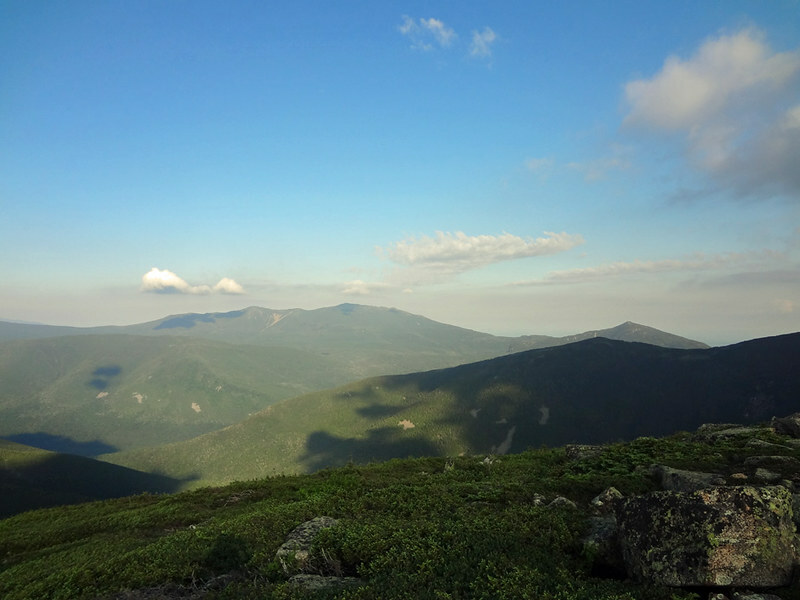 Below: The view from Garfield of Galehead Mountain, South Twin Mountain and the Bonds. Editorial note: the images in this post were taken over two separate hikes, which accounts for the seasonal change.